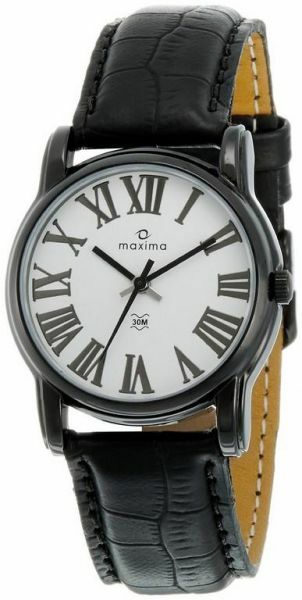 Keep up with time wearing this black colored analog watch from the house of Maxima. The brass dial ensures durability and longevity. Attractive and sturdy, this watch will perfectly complement your casuals and formals as well.